This home is situated just 1km from the busy village of Caltra, which has creche, primary school, shops, and licenced premises. It is 20 minutes' drive from Athenry, and 40 minutes from Galway city. The house has been beautifully upgraded with certain sensitivity to insulation. 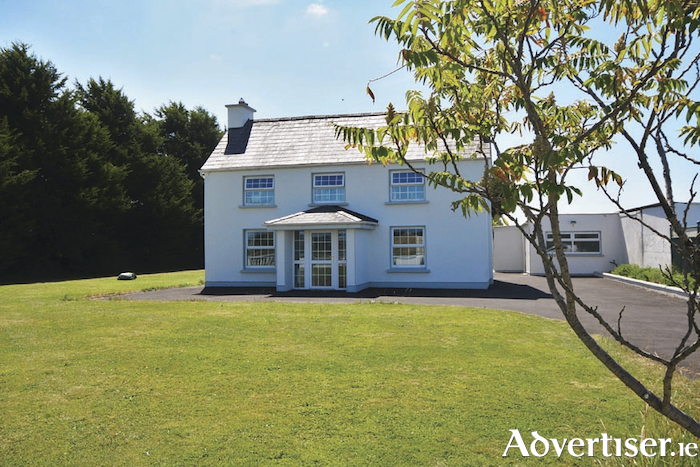 It provides substantial accommodation for its price of €210,000. Accommodation includes a bright entrance hall, living room, family room with fitted fuel stove, gorgeous kitchen, guest wc, utility, boot room, four bedrooms, two en suites, and a very lovely family bathroom with separate stand alone shower. There is also a home office and fuel shed. Guide price is €210,000. Contact Keane Mahony Smith auctioneers for a viewing schedule, phone 091 563744.